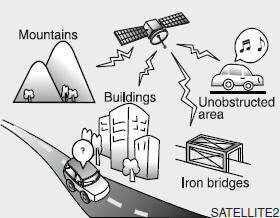 You may experience difficulties in receiving XM™ satellite radio signals in the following situations. 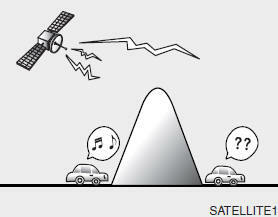 The signal can become weak in some areas that are not covered by the XM™ repeater network. There may be other unforeseen circumstances leading to reception problems with the XM™ satellite radio signal.